London: Martin Secker, 1928. Limited. hardcover. near fine. 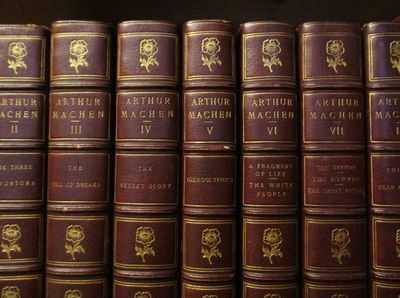 8 vols. (lacks vol. 1), 8vo, 3/4 maroon leather, gilt-stamped raised bands, uncut, t.e.g. London: Martin Secker, (1928). The Caerleon Edition. Limited Edition, one of 1000 sets. A near fine set. 8 vols. (lacks vol. 1), 8vo, 3/4 maroon leather, gilt-stamped raised bands, uncut, t.e.g. London: Martin Secker, (1928). The Caerleon Edition. Limited Edition, one of 1000 sets. A near fine set. The S. M. Hexter Company. Hamill, Virginia. The American Panorama Collection of Hand Printed Fabrics and Matching Wallpapers. SOL. Large folio. New York and Cleveland: The S. M. Hexter Company, [circa 1950s?]. Large folio, 20 x 20", unpaginated, small price list leaf slipped in, two pages of b&w photos and an introduction, over 100 full-page screen printed wallpaper samples of varying sizes, all with matching fabric samples inlaid to small printed leaf bound between facing pages. Original bolted black cloth, decorative paper boards, with company logo and address stamped to upper board in black and white. Edges and corners slightly bumped, some scattered scuff marks, internally complete; very good. "In developing the theme American Panorama for the new "Trend of the Times Wallpapers," Virginia Hamill, in her special way, brings to all Americans not just the obvious pictorial America, but also some of the little things that have meant so much to most of us in our remembrances of pleasant happenings and sensations as we grew up...American ideas for American houses... [a]s varied as the American scene." "Virginia Hamill, one of the first American women in the field of industrial design, [and] called herself a "decorative art consultant." Under this broad title, she gained prominence as an exhibition organizer and designer, retail merchandiser, product stylist, and interior designer and educator. She was influential in her use of department store exhibitions to introduce European modernist design to mainstream American consumers. Hamill may be best known as the Executive Director of R.H. Macy and Co.'s 1928 International Exposition of Art and Industry, for which she scouted, selected, and organized hundreds of examples of furniture and objects by a wide range of international designers (cooperhewitt.org)." Oblong folio. Paris: C. P. P., 1928-1929. Oblong folio, unpaginated, hundreds of full-page color wallpaper samples in a variety of mediums, with sample names and numbers stamped to verso, distributor's "terms and conditions" affixed to front pastedown, two pages of "examples of combinations" with b&w plates inlaid, eight pages of small inlaid samples from each collection. Original bolted gray cloth, company logo printed in silver to upper board. Edges slightly worn and frayed, faint scattered stains on upper board; internally very good. An annual French wallpaper sample book, featuring "friezes, rich papers, and modern compositions" available until December 1929. Designs are mainly floral or botanical, many friezes and tapestry patterns. A vast and beautifully printed sample book of less expensive wall papers available from this distributor. Offers a glimpse of French interior design aesthetics that would have been accessible to a middle class homemaker. 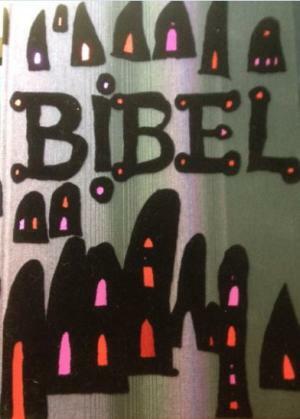 Friedensreich Hundertwasser Bibel - Hamp, Vinzenz, Meinrad Stenzel Friedensreich Hundertwasser u. a.
Bibel. Die Heilige Schrift des Alten und Neuen Testamentes. Bebildert von Friedensreich Hundertwasser. 6 nn. Blätter 1184 Seiten 2 nn. Blätter 353 Seiten (verso weiss) 39 (1) Seitern 8 nn. Blätter mit 80 Farbtafeln und 4 Karten. 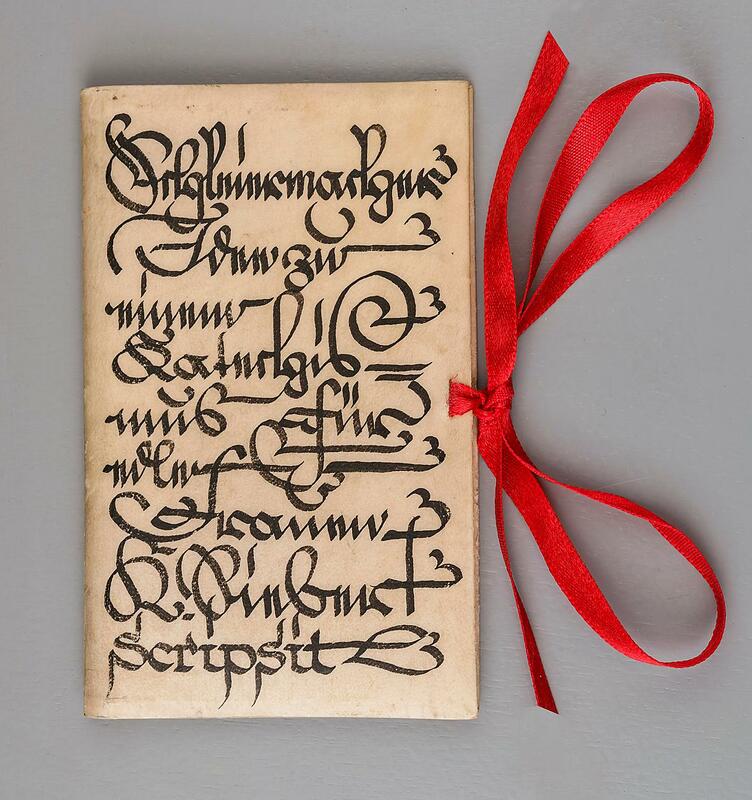 4, gebundene Ausgabe, Ganz-Webleineneinband mit Samt und farbigen Metallfolienplättchen im Schuber die Bibel mit zwei Lesebändchen ungelesen und wie neu. Anmerkung vom Pattloch Verlag: auf ausdrücklichen Wunsch des Künstlers Friedensreich Hundertwasser soll jeder Einband in seiner Art einzigartig sein. Jede Bibel zeichnet sich durch eine andere Fsrbkombination in der Leinenwebung aus. Ebenfalls unterscheiden sich die Exemplare in den farbigen Einlegearbeiten. So gleicht kein Exemplar dem anderen. Friedensreich Hundertwasser (* 15. Dezember 1928 in Wien - + 19. Februar 2000 an Bord der Queen Elizabeth 2 bei Neuseeland), vollständig: Friedensreich Regentag Dunkelbunt Hundertwasser, bürgerlich: Friedrich Stowasser, war ein berühmter österreichischer Künstler, der vorrangig als Maler, aber auch in den Bereichen Architektur und Umweltschutz tätig war. Sein Künstlername ergibt sich daraus, dass sto in slawischen Sprachen hundert heißt.Er trat zeitlebens als Gegner der geraden Linie und jeglicher Standardisierung auf, was insbesondere bei seinen Arbeiten im Bereich der Baugestaltung wirksam ist, die sich durch fantasievolle Lebendigkeit und Individualität auszeichnen. Paris: C. P. P., 1928-1929. Oblong folio, unpaginated, hundreds of full-page color wallpaper samples in a variety of mediums, with sample names and numbers stamped to verso, distributor&#x92;s &#x93;terms and conditions&#x94; affixed to front pastedown, two pages of &#x93;examples of combinations&#x94; with b&w plates inlaid, eight pages of small inlaid samples from each collection. Original bolted gray cloth, company logo printed in silver to upper board. Edges slightly worn and frayed, faint scattered stains on upper board; internally very good. An annual French wallpaper sample book, featuring &#x93;friezes, rich papers, and modern compositions&#x94; available until December 1929. Designs are mainly floral or botanical, many friezes and tapestry patterns. A vast and beautifully printed sample book of less expensive wall papers available from this distributor. Offers a glimpse of French interior design aesthetics that would have been accessible to a middle class homemaker. 1928. 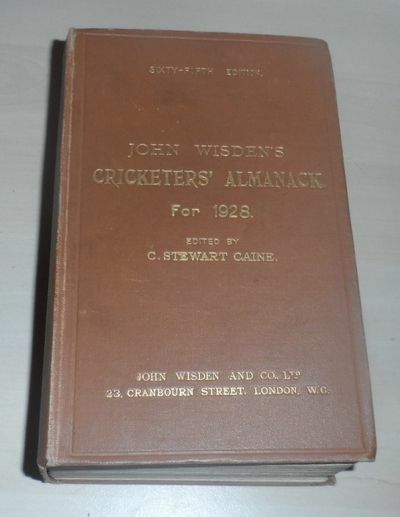 This lot is an 1928 Original Hardback Wisden. In Very Good+ Condition. Very nice for a 1928 as they tend to break easily under their own bulk. This book is very nice, it has had no restoration, the front board is very nice with shiny, original gilt, odd small mark, nice spine cloth with bright lettering and lines forming each side of the letters. Inside the the hinges are wonderful and the pastedowns very yellow, name to first page, the pages are clean and crisp too. A very nice Wisden, a lovely photoplate. Électrons et Photons. Rapports et Discussions du Cinquieme Conseil de Physique tenu a Bruxelles du 24 au 29 Octobre 1927 sous les Auspices de L'Institut International de Physique de Solvay. Publiés par la Commission administrative de l'Institut. Paris: Gauthier Villars, 1928. First edition, rare in the original printed wrappers, of the proceedings of the fifth Solvay Congress, where the debate between Bohr and Einstein on the consistency and completeness of quantum mechanics began. It was at this, the most famous of the Solvay conferences, that Einstein, disenchanted with Heisenberg's uncertainly principle, made his famous remark that "God does not play dice," to which Niels Bohr replied, "Einstein, stop telling God what to do!" Seventeen of the twenty-nine attendees, which included nearly all the principal architects of the old and the new quantum theory, were or became Nobel Prize winners. "The three and a half years since the fourth Solvay Conference ... were marked by enormous progress in quantum physics. Partly based on discoveries and ideas that had been available already before 1924 − such as the Compton effect and matter waves − the new atomic theory had arisen, which did more than throw new light on the difficulties discussed at the 1924 conference: quantum or wave mechanics went right to the heart of the problems posed by atomic phenomena. The two subjects put programmatically into the title of the fifth Solvay Conference − electrons and photons − designated the crucial points of interest, because 'electrons' also stood for the smallest, massive constituents of matter, and they now became associated with waves, and 'photons' (a name given only recently, in October 1926 by the physical chemist Gilbert N. Lewis, to Einstein's light-quanta) characterized the quantum-theoretical aspect of electromagnetic radiation. It was the declared intention of the Scientific Committee of the Institut International de Physique Solvay to contribute by scientific reports and discussions about them to the clarification of the scientific concepts in the physics of the day. In retrospect, one may indeed attribute an important success to the 1927 Solvay Conference in marking the completion of the ideas that had first been discussed in the international physics community sixteen years previously at the first Solvay Conference of 1911" (Mehra & Rechenberg, pp. 233-4). The present volume contains the following reports, and discussions about them by the participants: 'The Intensity of the Reflection of X-rays,' by Bragg; 'Disagreement between Experience and the Electromagnetic Theory of Radiation,' by Compton; 'The New Dynamics of Quanta,' by de Broglie; 'The Mechanics of Quanta,' by Born and Heisenberg; 'The Mechanics of Waves,' by Schrödinger; 'The Quantum Postulate and the New Development of Atomic Theory,' by Bohr. No copies located in auction records. In 1911 the Belgian industrialist Ernest Solvay invited a group of the world's most prominent physicists, including Einstein, Planck, Lorentz, Sommerfeld, Rutherford and Marie Curie, to participate in a scientific conference on the difficulties of reconciling classical physics with quantum theory. The conference "set the style for a new type of scientific meetings, in which a select group of the most well informed experts in a given field would meet to discuss the problems at its frontiers, and would seek to define the steps for their solution" (Mehra, Solvay Conferences, p. xv). The first Solvay Conference--widely considered a turning point in the history of modern physics--was so successful that in the following year Solvay established a foundation, now known as the International Solvay Institutes for Physics and Chemistry, "to encourage the researches which would extend and deepen the knowledge of natural phenomena" (ibid.) and to sponsor further conferences. The next two Solvay Conferences met in 1913 and 1921; subsequent conferences have been held every three years except during wartime. "From amongst the members of the Scientific Committee [of the 1927 Congress], two had already played a leading role in 1911: the Chairman Hendrik Lorentz and Albert Einstein; the latter had presented then the most revolutionary report [on the light quantum]. In spring 1926, in the early stage of preparing for the new conference, Lorentz again requested Einstein to write a report. The latter answered promptly: 'If you wish that I take over the report on quantum statistics, I shall do so with pleasure; because, without being in great difficulty, I shall never say "no" to you' (Einstein to Lorentz, 1 May 1926) ... On 17 June 1927, Einstein wrote to Lorentz: 'I recall having committed myself to you to give a report on quantum statistics at the Solvay [Conference]. After much reflection back and forth, I came to the conclusion that I am not competent for giving such a report in a way which really corresponds to the state of the thing. The reason is that I have not been able to participate as intensively in the modern development of quantum theory as would be necessary for that purpose. This is in part because I have on the whole too little receptive talent for fully following the stormy developments, in part also because I do not approve of the purely statistical way of thinking on which the new theory is founded ...' As a substitute speaker for the topic assigned to him, he proposed either Enrico Fermi from Italy or Paul Langevin from France. Ultimately, however, neither of them gave the report on Einstein's subject. Instead, Niels Bohr agreed to contribute a report on a different topic: namely, on his latest considerations on the problem of the interpretation of quantum mechanics. "The rapporteurs at the fifth Solvay Conference fell into three groups: the experimentalists Bragg and Compton; the theoreticians advocating the Gottingen-Cambridge-Copenhagen versions of quantum mechanics − Bohr, Born, and Heisenberg; and those of the wave-mechanical camp − de Broglie and Schrodinger. "The selection of Arthur Holly Compton seemed to be most appropriate, because the Compton effect − discovered in late 1922 − had been one of the crucial results triggering the entire development which ended with the new atomic theory by providing Einstein's light-quantum hypothesis of 1905 a firm experimental foundation. Since its discovery, and even more so after the refutation of the Bohr-Kramers-Slater theory of radiation ... Einstein's fundamental light-quantum conception ... became a physical reality. Compton's report dwelt on the conceptual consequences rather than on experimental details. In particular, he addressed the questions of the aether and of electromagnetic waves, on the one hand, and the phenomena contradicting the (classical) wave concepts, such as the photoelectric effect, X-ray diffraction, certain electron-recoil effects (observed by C. T. R. Wilson and W. Bothe in 1923), and the individual interaction between radiation-quanta and electrons (i.e., the Compton effect). Compton showed also in some detail how the Bohr-Kramers-Slater theory failed to account for these observations. "The report of William Lawrence Bragg, a regular participant in the Solvay Conferences since 1913, appeared to address, on first inspection, less central points. However, from his presentation of the material on reflection of X-rays, one easily recognizes the strategy of the Scientific Committee of the Conference: Bragg had to take over the task of stressing those radiation phenomena that could be described by the wave theory, namely, the diffraction of X-rays by crystal lattices. Consequently, he gave the story from Laue's discovery in 1912, over the subsequent work of his father William Henry Bragg and himself, to the later investigations of Paul Ewald, William Duane, and others. Bragg demonstrated in detail how the old and the new wave theories worked to describe the phenomena of diffraction and refraction of X-rays. In the discussion of Bragg's report, Hendrik Kramers presented at some length the recent development of the dispersion theory by himself and Ralph Kronig. Interpretation I: The de Broglie-Schrodinger waves do not correspond to a single electron, but to an electron cloud, extended in space. The theory does not give [then] any information about an ensemble of an infinity of elementary processes. Interpretation II: The theory claims to be a complete theory of individual processes. Each particle which moves towards the screen, as far as one can determine from its position and velocity, is described by a de Broglie-Schrödinger wave packet of small length and small aperture. This wave packet is diffracted and, after diffraction, arrives partly at the film [where it is registered in a resolved state] (Einstein, in the present work, pp. 254-5). "Evidently, Interpretation II went beyond I and even included the latter; it also implied that the conservation laws (especially for momentum) were valid for individual atomic processes, thus explaining the Bothe-Geiger experiment as well as other experiments. Still, Einstein also objected to this interpretation, because: 'If |Ψ|2 [where Ψ is the wave function] were simply considered as the probability for a particle to be at a place at the definite instant, it might happen that one and the same elementary process would cause an action at two or more places on the screen,' which would imply an action-at-a-distance, hence, a violation of the relativity postulate. The only way out of this difficulty had to be sought with de Broglie in further attempts to localize the microscopic particle. Einstein claimed further that the multidimensional phase space assumed for many-particle systems in quantum or wave mechanics and the corresponding permutation properties contradicted the new statistical results. "Although Lorentz tried to illuminate the statistical argument further, Wolfgang Pauli contradicted Einstein by referring to the recent work of Paul Dirac, Pascual Jordan, and Oskar Klein on field quantization. He also refuted another argument of Einstein's, that the range of forces in quantum mechanics might create problems, by pointing to the work of Walter Heitler and Fritz London on molecular binding. Dirac, at first, supported Pauli's plea; then, he stated his 'opinion about determinism and the significance of numbers which occur in the calculus of quantum theory,' notably: 'In the classical theory one starts from certain numbers which completely specify the initial state of the system, and one deduces certain numbers which specify the final state. This determination applies only to an isolated system' (Dirac, in the present work, p. 261). "The official discussions referred to above throw light on some of the exchanges on the questions that did interest Einstein, although Bohr's participation in them does not seem to have been so active. For example, no answer from Bohr to Einstein's analysis of the electron's passage through a slit or screen was recorded. Bohr just made some notes, which are to be found in his files, and, as Louis de Broglie recalled: '[Also] Einstein said hardly anything beyond presenting a very simple objection to the probability interpretation. Then he fell silent'. However, Heisenberg took away quite a different impression from the conference, and decades later, he wrote enthusiastically: 'The discussions were soon focused upon a duel between Einstein and Bohr on the question as to what extent atomic theory in its present form could be considered to be the final solution of the difficulties which had been discussed for several decades. We generally met already at breakfast in the hotel, and Einstein began to describe an ideal [Gedanken] experiment in which he thought the inner contradictions of the Copenhagen interpretation were especially clearly visible. Einstein, Bohr and I walked together from the hotel to the conference building, and I listened to the lively discussion between those two people whose philosophical attitudes were so different, and from time to time I added a remark on the structure of the mathematical formalism. During the meeting and particularly in the pauses we younger people, mostly Pauli and I, tried to analyze Einstein's experiment, and at lunch time the discussions continued between Bohr and the others from Copenhagen. Bohr had usually finished the complete analysis of the ideal experiment by late afternoon and would show it to Einstein at the supper table. Einstein had no good objection to this analysis, but in his heart he was not convinced. Bohr's friend Ehrenfest, who was also a close friend of Einstein, said to him, 'I am ashamed of you, Einstein! You put yourself here just in the same position as your opponents in their futile attempts to refute your relativity theory." "Thus, by piecing together the contemporary documents (of 1927) with the later recollections of the participants, a fairly consistent historical picture of the great epistemological debate between Bohr and Einstein has arisen. The fifth Solvay Conference would not end this debate, however. Both participants returned to the problems involved again and again, especially at the sixth Solvay Conference in 1930 and, a few years later, in 1935. Still, quantum mechanics had already scored the main points in its favour. 'The most important success of the Brussels meeting was that we could see that against any objections, against any attempts to disprove the theory, we could get along with it,' Heisenberg summarized the result in an interview in 1963, and added: 'At that time [in 1927] it was practically Bohr, Pauli and myself, perhaps just the three of us. That very soon spread out'" (Mehra & Rechenberg, The Historical Development of Quantum Theory, vol. 6, pp. 232-256). For an English translation and detailed analysis of the conference reports, see Bacciagaluppi & Valentini, Quantum Theory at the Crossroads. Reconsidering the 1927 Solvay Conference, Cambridge, 2009. 8vo (255 x 165 mm), pp. viii, 289, with frontispiece portrait of Lorentz. Uncut and unopned. Original printed wrappers, some light sunning two wrappers, small closed tear to front wrapper. Otherwise very fresh and clean in its original state. By Robert Horatio Woolnough Empson. With a commentary by Richard Carnac Temple. The Cult of the Peacock Angel, A Short Account of the Yezidi Tribes of Kurdistan. H. F. & G. Witherby, 1928. 1st Edition . Hardcover. Very Good. First edition. Uncommon. Bound in full cloth. 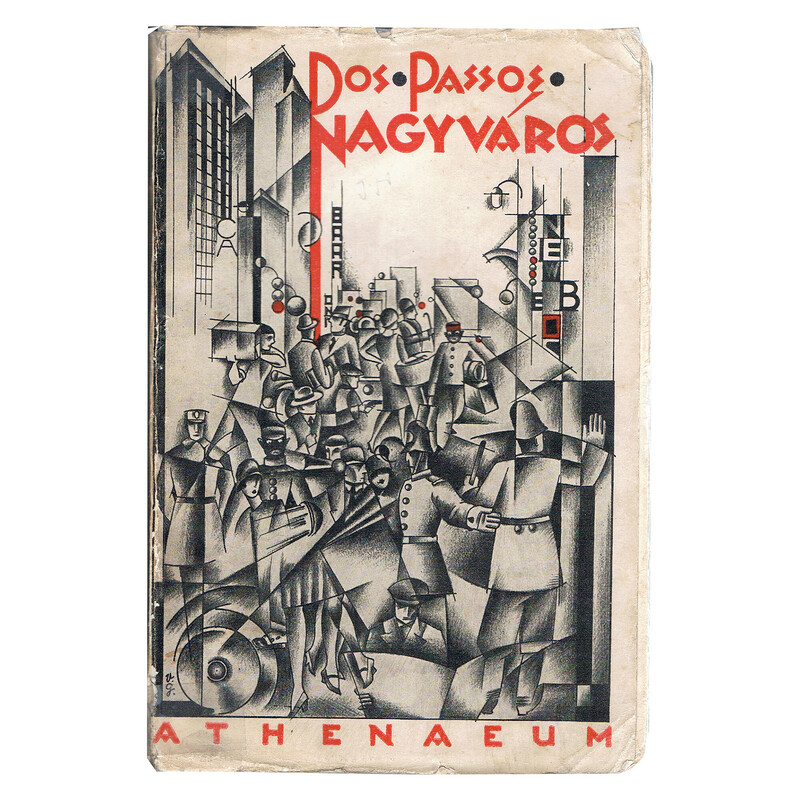 Kegan Paul, Trench, Trubner and Co booksellers label to the front pastedown. Frontis with tissue guard and five further plates, collated complete. 235, (3)p. Publisher's catalogue to the rear. This is a hard to come by first hand account of the Yazidis. The Peacock Angel, also known as Malek Taus, is one of the central figures of the Yazidi religion. Richard Carnac Temple (1850-1931) was the British Chief Commissioner of the Andaman and Nicobar Islands and an anthropological writer. Condition: Very good. Some bumping and shelfwear. Browning to the endpapers. Tissue guard is partially detached. Intermittent scattered foxing. Pencil inscription to the rear free endpaper. Occasional pencil underlining of words. Grosset & Dunlap, 1928. 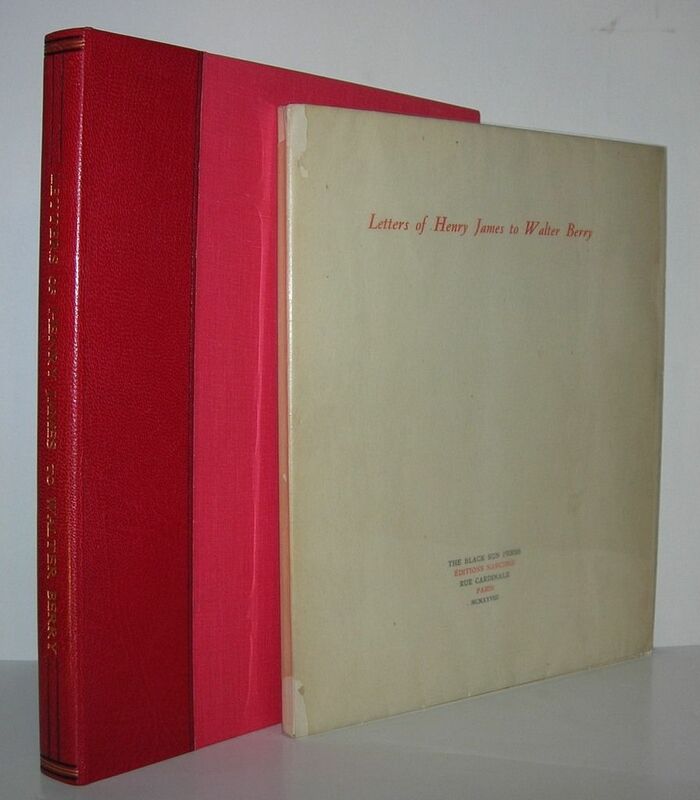 HBDJ, 1928,1st edition, 3rd printing, Pre-Text Lists Thru this Title, RED cloth Cover Has minor Rub, Wear & Scuff & small stain & Circular light Stain, Crease Spine Cover, Tiny Chips Extremities,DJ HAS White Spine, DJ has rub, Wear, Scuff & Large piece missing from Front & Half way up Spine Missing altho you can still read Titles with the exception of T in word The on Top Spine, small mended Tears DJ, Front inner Flap DJ missing, VG/PoorDJ, AS-IS , Interior Book Nice, Tight Clean, Few pgs light brown Stains, 212 pgs,Ads in Back starting with Hardy Boys Series listing 7 titles ending with Secret Caves,Then Western Stories For Boys, Scott Flying Stories with 10 titles ending with Jungle Trails, Rover Boys Series AD, Then Roy Boys Series , Tom Swift Series , Don Sturdy with 9 titles ending with Lion Land, , Back inner flap Don Sturdy Titles listed with Lion Land as Last, Back of DJ XBar Boys with 9 titles ending with Lost Rockies, . First Edition. Hard Cover. Very Good/Poor. Il était une petite pie". 7 chansons et 3 chansons pour Hyacinthe avec 8 dessins en couleur par Joan Mirò. London: The Nonesuch Press, 1928 - Folio. Original orange vellum, titles to spine, roundels and ruling to boards in gilt, top edge gilt, others untrimmed. 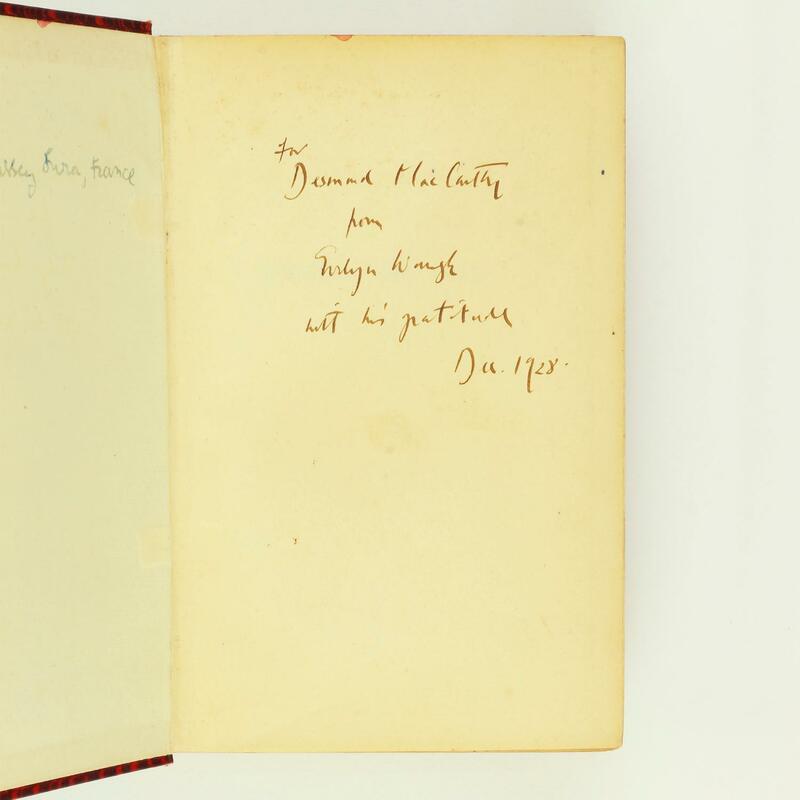 A beautiful copy; the spine, so prone to fading, is here entirely bright and unfaded. With 34 double and 8 single-page plates after Botticelli. 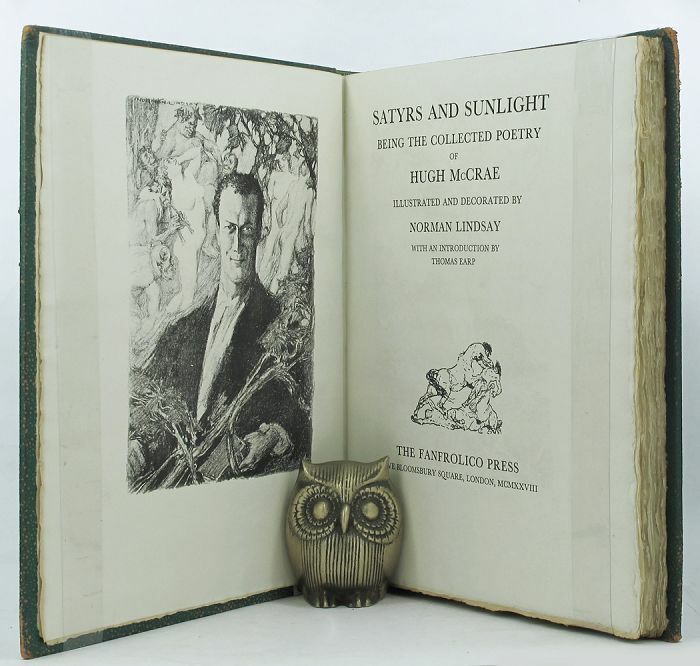 First Nonesuch edition, and uncommon in such nice condition. Number 180 from a limited edition of 1,475 copies on Dutch paper. 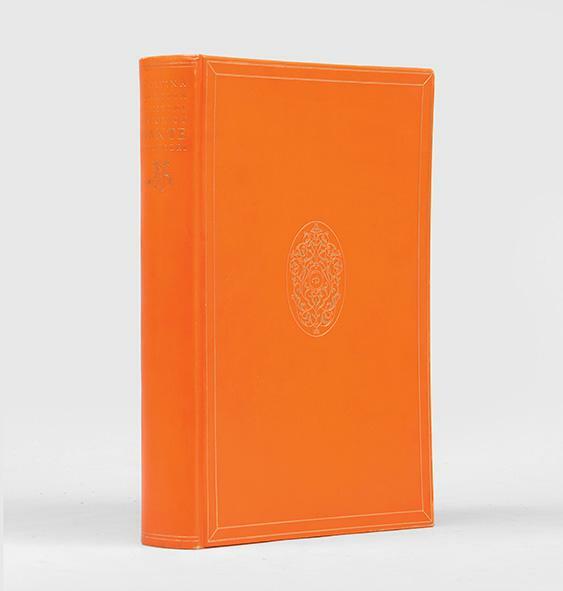 A beautifully presented and bound edition of Dante's Divine Comedy, with Dante's Italian printed parallel to Rev. Henry F. Cary's English translation (1814, a translation much loved by Coleridge), and with Sandro Botticelli's illustrations, reproduced from the first Florentine edition of the Divine Comedy (1481). Ransom p. 367. 12 full page woodcuts plus title page vignette and small woodcut at end. 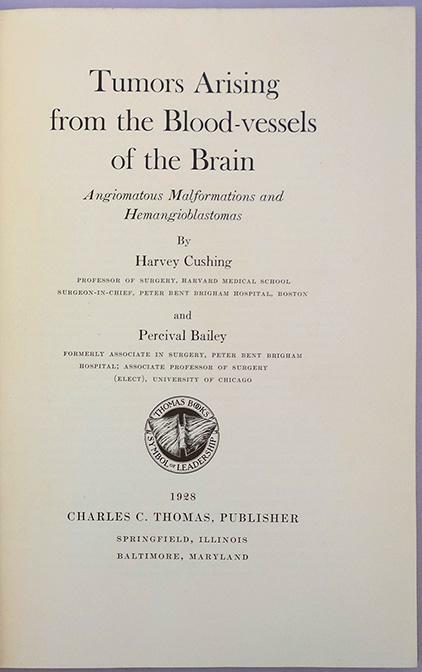 First edition, one of 200 copies. 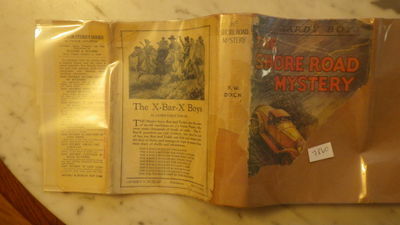 Small 4to., original wrappers, printed label on front cover. London, Andrew Block. London: Methuen & Co. Ltd,, 1928. With Decorations by Ernest H. Shepard. Octavo. Original pink cloth, titles to spine and pictorial design to front board gilt, top edge gilt, illustrated endpapers. With the pictorial dust jacket. Illustrated throughout by E. H. Shepard. Light offsetting to endpapers, in the dust jacket with chip to top end of spine, tiny chips to mid spine and top corners, spine toned. A very good copy. First edition, first impression. 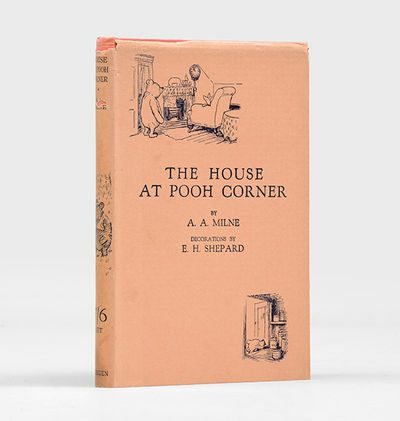 Milne began planning his final Pooh book in 1927. Three years of intense publicity were taking their toll on the family, and Milne longed to return full-time to adult literature, telling his brother that "after one more Pooh book I must think of something else. In fact, it's time I tried a novel" (Thwaite p. 328). Christopher Robin was growing up, soon to leave for boarding school, and The House at Pooh Corner would be a farewell. But first there was an introduction to be made. Milne had bought his son a stuffed tiger, "Tigger", and told Shepard that he was longing to see the illustrations for this new character, who would become one of the author's most popular creations. Published on 11 October 1928 in an edition of 75,000 regular trade copies, The House at Pooh Corner was received by critics with a delight tinged by sadness. "The Times Literary Supplement congratulated Milne on avoiding 'the temptation to repeat his successful formula mechanically', though it was 'sad to see the stories end'" (Thwaite p. 336); but the stories have never ended for the millions of children who continue to wander the Hundred Acre Wood, where "a little boy and his bear will always be playing". CHINA - BEIJING) Sewall, John Kirk (illus). Tientsin / Peiping. 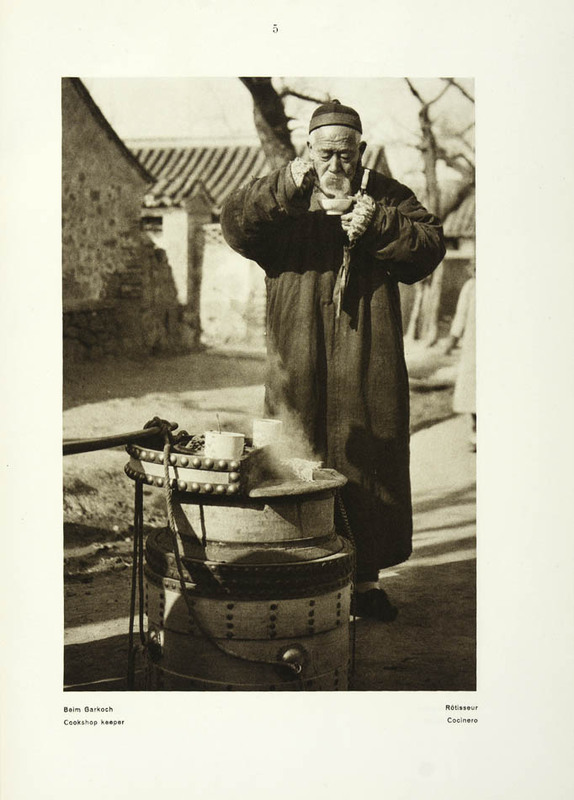 : Peiyang Press, Ltd.. No date. Ca. 1928- 1933.. Color pictographic / pictorial map, 22 3/4 x 19 inches on sheet size 23 1/2 x 19 1/2 (60 x 49.5 cm), folding as issued into titled paper pocket 8 x 4 1/4 inches. A particularly bright, clean copy in original protective pocket. A few tiny spots of ink from the printing process, no tears. 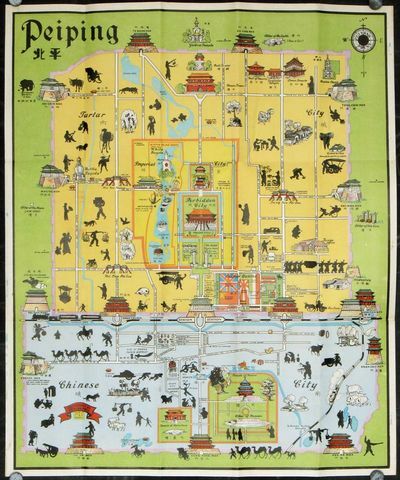 A scarce and handsome pictorial map of the inner city of Peiping (Peking/Beijing) by John Kirk Sewall showing Tartar City, Chinese City and the Forbidden City, with people and animals in silhouette and temples, theaters, etc, in bright colors. 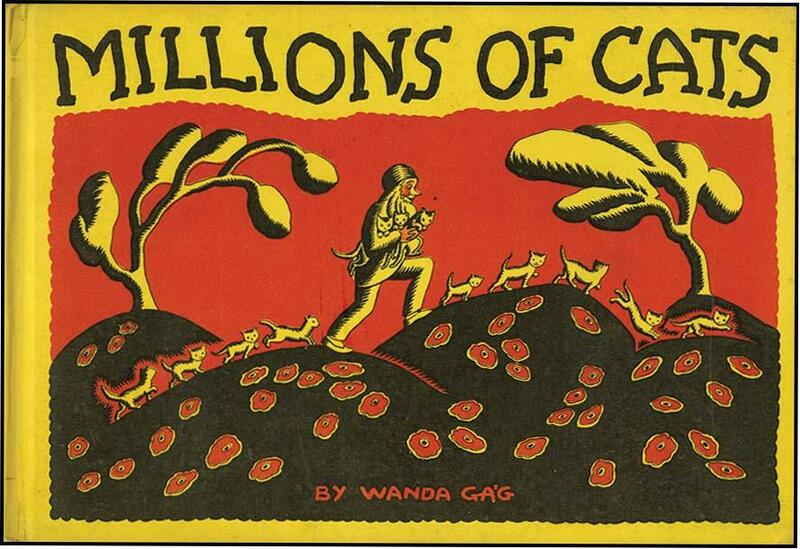 The WorldCat entry for this map (with holdings at three libraries) notes "The map is decorated with small illustrations of landmark buildings and black silhouettes of workers, pedestrians and animals. Essentially a tourist map since it includes sightseeing attractions, rail station, hotels etc. It also depicts the Legation Quarter...Imprint date based on the first use of Peiping in 1928 and the representation of the German Legation by the black, red and gold Reichsbanner flag which was banned in 1933." The Wikipedia entry notes that the horizontal black, white and gold flag was "In use at the beginning of the Weimar Republic (1918â1919), by the foreign services (1922â33), and by the Nazi regime from March 1933 until August 1935." . [N.p., 1928. Four conjoined postage stamps, signed. Fine. In a half morocco and cloth folder, gilt. 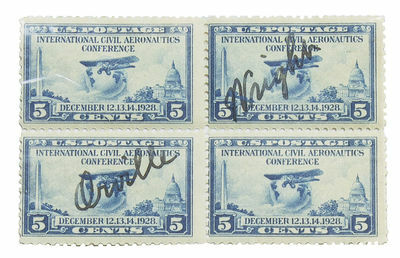 Signature of aviation pioneer Orville Wright (1871-1948), written across two of a set of four postage stamps issued to commemorate the International Civil Aeronautics Conference held on Dec. 12-14, 1928. Each stamp is worth five cents postage and depicts an airplane in front of a world globe in the center, with the Capitol building and the Washington Monument to either side. A nice piece of aeronautical memorabilia. Meine zweiunddreißig Ahnen und ihre Sippenkreise. Degener, Leipzig, 1928. 11 v. (864 p. compl., 32 c. di tav., 1 c. di albero genealogico ripiegato), 23 cm, bross. i fascicoli entro custodia in tela editoriale con stemma nobiliare a colori e oro.\r Eccetto un piccolo strappetto alla custodia al dorso eccellente esemplare coi fascioli intonsi in stato di nuovo. L'Ingénue libertine. Eaux-fortes de Dignimont. A la cité des livres, 1928. In-4 broché, couverture rempliée, étui, 237 pp. 15 copositions originales à pleine page. Tiré à 215 exemplaires, celui-ci exemplaire de l'artiste hors-commerce sur Japon comprenant 2 dessins orignaux, plusieurs suites des eaux-fortes en bleu, en bistre, avec remarques et en état définitif, sur vélin et sur chine : 9 en 4 états, 5 en 3 états, 3 en double état, soit 57 compositions. Quelques ternissures. Etui des dessins et gravures défectueux. Chapman & Hall, London, 1928. First edition, first state (including the characters 'Martin Gaythorn-Brodie' and 'Kevin Saunderson' who were re-named in all subsequent issues - these portraits of Eddie Gaythorn-Hardie and Gavin Henderson being a little too easy to identify). 8vo. 288pp. Two-tone red and black 'snakeskin' cloth lettered in gold at spine. With a frontispiece and five illustrations by the author. Spine ends lightly chafed and with a small area of fraying to the rear gutter. A little light spotting to occasional text leaves and a minor slant to the binding. Some light pink staining to endpapers where the cloth dye has run, and a small Times Book Club label to the base of the rear pastedown, alongside the ghost of almost entirely erased former owner pencilled notes. 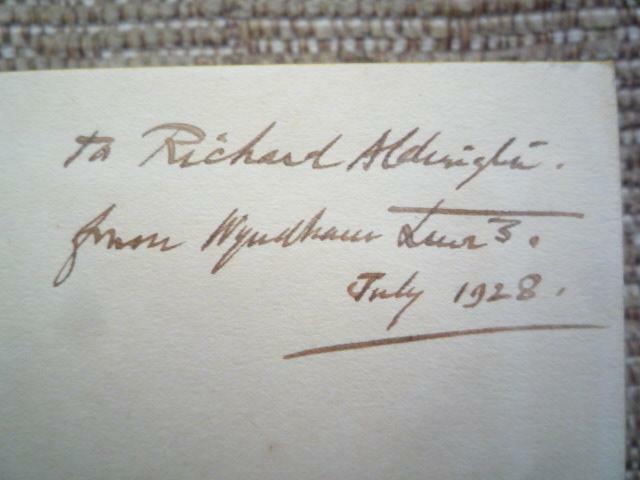 A nice crisp copy of Waugh's extremely scarce first novel, alas missing the scarcer still dust wrapper.. 1st Edition. Hardcover. Good/No Jacket. Repertoire du Gout Moderne. No.1. Editions Albert Levy, Paris, 1928. Folio, Pp. 8 + 40 loose pochoir-colored plates by Saudé, many heightened with gold & silver, housed in original portfolio with ties. A little rubbing to portfolio, the plates in fine condition. First edition. The first of five portfolios to be issued between 1928-1932 illustrating interior designs by contemporary French architects and designers including Djo-Bourgeois, E. Kohlmann, Francis Jourdain, Jean Luce and Maurice Matet. Oeuvre gravé et lithographié de Félicien Rops; 4 volumes catalogue raisonné. PHILBY H. St. J. B. 1st edition. With 29 half-tone plates, a large folding map of Central Arabia (Riyadh) and a single page plan of Buraida. With 14 diagrammatic figures in the text by H.A.R. ("Kim") Philby, (then a King's Scholar of Westminster School). A little sporadic light foxing. Original green cloth boards. Slightly worn, back a little creased. 8vo. xv,422pp. Constable, London. 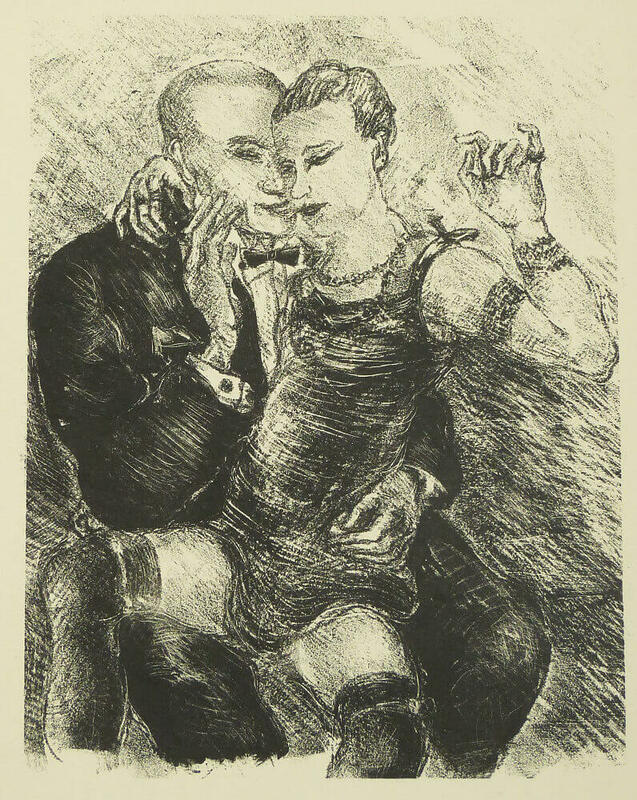 - Javal & Bourdeaux, Paris 1928, 24x28,5cm, relié. - Edizione illustrata con 16 acquerelli originali di Auguste Leroux incisa su rame da Delzers e Feltesse, una delle 90 copie numerate in Giappone imperiale. Vincolante metà marocco blu con angoli, posteriore con quattro nervi crimpati motivi tipografici dorato tratteggiate e decorate con triple scatole dorati decorati dorati, reti dorati data coda dorato trama su carta marmorizzata piatti, guardie e contreplats carta al serbatoio, conservato copertine e spalle, la testa dorata, contemporanea vincolante firmato Bernasconi. La nostra copia, come ha stabilito la giustificazione del sorteggio per le copie sul Giappone imperiale, è pieno di due suite: una di colore con le note e l'altro a colori. Inoltre, la nostra copia è eccezionalmente arricchita con 2 disegni originali di Auguste Leroux tra cui un intensificati con l'acquerello, che ha firmato con le sue iniziali e posto all'inizio del libro, subito dopo la giustificazione del sorteggio. Bel ben consolidata e arricchita copiare due disegni originali. - [FRENCH VERSION FOLLOWS] Edition illustrée de 16 aquarelles originales d'Auguste Leroux gravées sur cuivre par Delzers et Feltesse, un des 90 exemplaires numérotés sur Japon impérial. Reliure en demi maroquin bleu marine à coins, dos à quatre nerfs sertis de pointillés dorés et orné de triples caissons dorés décorés de motifs typographiques dorés, date dorée en queue, encadrement de filets dorés sur les plats de papier marbré, gardes et contreplats de papier à la cuve, couvertures et dos conservés, tête dorée, reliure de l'époque signée de Bernasconi. Notre exemplaire, ainsi qu'il l'est stipulé à la justification du tirage pour les exemplaires sur Japon impérial, est bien complet de ses deux suites : l'une en couleurs avec remarques et l'autre en couleurs. En outre, notre exemplaire est exceptionnellement enrichi de 2 dessins originaux d'Auguste Leroux dont un rehaussé à l'aquarelle, qu'il a signés de ses initiales et placés en début de l'ouvrage, juste après la justification du tirage. Bel exemplaire parfaitement établi et enrichi de deux dessins originaux. - Nrf, Paris 1928, 17x22cm, relié. - Prima edizione della traduzione francese, una delle 110 copie numerate su cui Lafuma Navarra e ripristinata a Quarto carta protocollo, edizione deluxe. la metà di rilegatura ... la coda posteriore insolated. - [FRENCH VERSION FOLLOWS] Edition originale de la traduction française, un des 110 exemplaires numérotés sur vergé Lafuma Navarre et réimposés dans le format in-quarto tellière, tirage de tête. Reliure à la bradel en plein papier à décor géométrique et futuriste, dos lisse, pièce de titre de maroquin bleu marine, couvertures et dos conservés (deuxième plat et dos marginalement et légèrement insolés), élegante reliure moderne signé de T. Boichot. Agréable exemplaire joliment établi. Glaspell, Susan. (1876-1948). American Pulitzer Prize-winning playwright, actress, novelist and journalist. 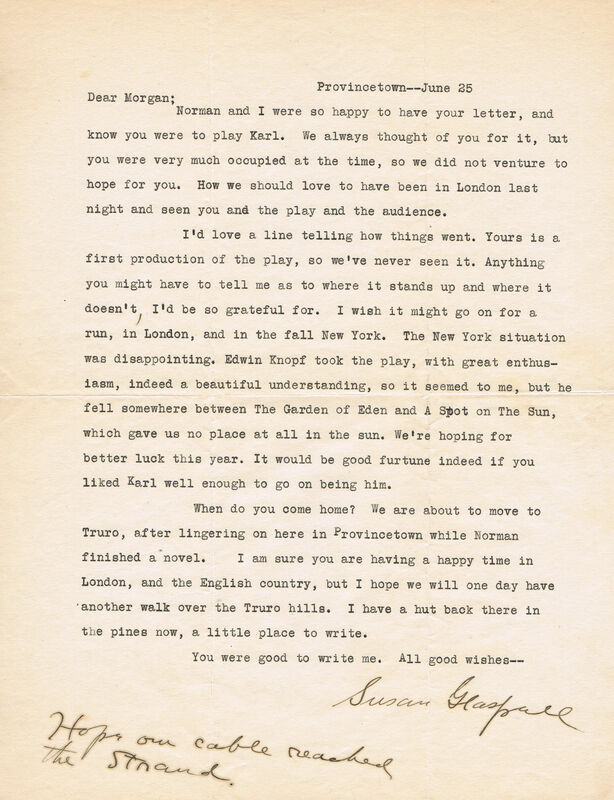 TYPED LETTER SIGNED BY SUSAN GLASPELL REGARDING THE PREMIERE OF HER PLAY "THE COMIC ARTIST". New York: Henry Holt and Company, 1928. 1st trade ed. Hardcover. Good/Fair. frontis and 3 other woodcut illustrations by J. J. Lankes, 64p. Original cloth-backed boards. dj. 22cm.. Jacket lacks bottom half of backstrip pannel, is split along front folds, and has and has a few other chips and bits of wear. Minor chipping at end of corner tips. 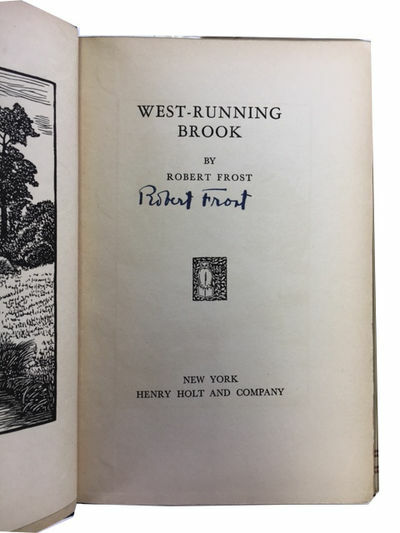 SIGNED twice by Frost -- on title-page and beneath the poem "Hannibal" on page 47. Issue points: (1) no statement of edition; and (2) "roams" not "romps in last line on page 44. The Well of Loneliness. With a commentary by Havelock Ellis. 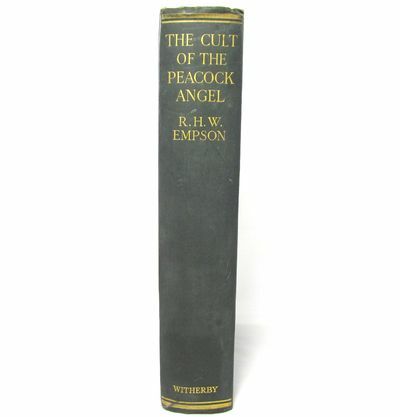 First edition; 8vo; original black cloth, spine lettered in gilt, top edge black, others uncut and original dust jacket. First edition, first impression, with "whip" on page 50. The Well of Loneliness went through only two small printings in Britain due to controversial content, as the first openly lesbian novel. It became the target of a campaign by James Douglas, editor of the Sunday Express, who wrote, "I would rather give a healthy boy or a healthy girl a phial of prussic acid than this novel." Although its only sexual reference consists of the words "and that night, they were not divided", a British court judged it obscene because it defended "unnatural practices between women". After pressure from the Conservative Home Secretary Jonathan Cape withdrew the book. However they leased the rights to a Parisian publisher who smuggled copies into Britain, those too were seized by the police and the publisher was prosecuted at trial. The Well of Loneliness "was subsequently banned in England. It was not republished until 1949. Publicity over The Well of Loneliness's legal battles increased the visibility of lesbians in British and American culture. For decades it was the best-known lesbian novel in English, and often the first source of information about lesbianism that young people could find. 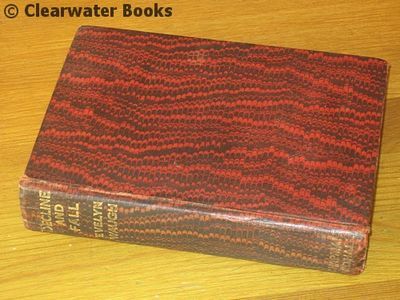 A very good copy, extremities lightly rubbed, spine ends bruised,occasional foxing to the end papers and the edge of the text block. 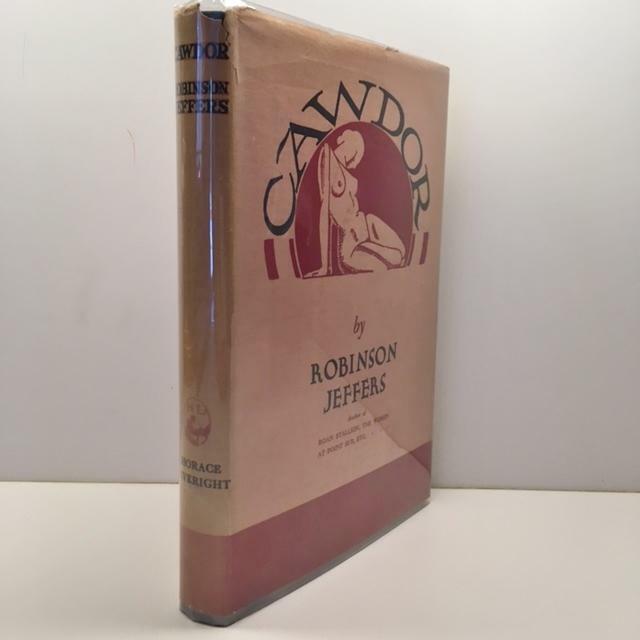 The dust jacket is also very good, a little dusty, spine ends creased and reinforced with tape to the verso, a short tear to foot of front panel and vertical creases running down the length of the spine and rear panel. A nice copy of the rare first impression in a dust jacket. London: Methuen & Co. Ltd. (1928), 1928. First edition. Hardcover. Very near Fine/Very Good+. Small 8vo. 178 pp. Bound in pink cloth with gilt decorations on the boards, top edge gilt. Price of 7/6 net on the spine panel. Illustrated by Ernest H. Shephard. A very attractive copy of the final book in Milne's beloved Winnie the Pooh series. Ahearn Collected Books 4th Edition, 482; Baumgarten 150. A very near Fine book with mild darkening to the gutters in a Very Good+ dust jacket with age toning to the spine panel and a few hints of edge wear.